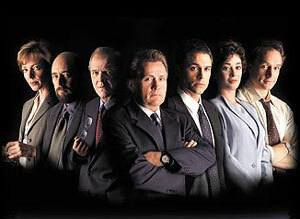 The West Wing Transcripts -- search transcripts, summaries, and titles of all episodes of The West Wing tv show! This site is dedicated to providing a resource for loyal fans of NBC's The West Wing -- mainly, Will G.
March 16, 2008: Episode 5-04 ("Han") added, thanks to David Mercier of www.filmjudge.co.uk! Need all eps after 7-14. Need all eps after 6-03. Need 5-10 ("The Stormy Present"), 5-11 ("The Benign Prerogative"), and 5-18 ("Access") -- otherwise, 5 is complete. The West Wing Episode Transcripts site is live! and you can also search the entire text of episode transcripts to find your favorite line or quote. The calendar is a quick way to see when episodes (new and old) are on the air. Finally, the resources page has links to other West Wing sites. Seasons 1 through 4 transcripts are complete! Trying to get the remaining four eps from season 5, and the majority of seasons 6 and 7.